Kitsap PFLAG: Moving Equality Forward in Kitsap County: The third Monday of the month is here again! The third Monday of the month is here again! 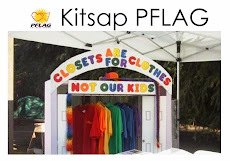 The March Kitsap PFLAG meeting is Monday March 17th at 6:30 at the Poulsbo Library. See you then!